triton59's review (This content has been automatically translated from French)" The crunch of the 80's"
The classic, gain, master, 3-band eq and a switch to the cab simulator. Configuration is very simple. EQ knobs are effective but no more, let me explain: the changes they make are minimal compared to what give other pedals (with the t-rex Totenschläger is the day and night) . We can emphasize or attenuate certain parts of the spectrum, but never to the point of creating a strange sound. This is probably intended to prevent us from making bad taste, given the tendency of some to do anything with the EQ! Nothing to say, a great crunch that I like, very dynamic, with a very reasonable level of noise. Resemblance to the Soldano amp I have no point of comparison. Purchased shortly after its release so it must be more than 2 years, I have never had a problem with. I had already tested the tube screamer, everything that boss and some overdrives home vox, I was not satisfied with the sound quality. Either that lacked personality is the breath was too annoying as the ts-8. I like the cab simulator that allows you to have a good sound when recording without an amp pedal. It would be perfect with an adjustable noisegate. Difficult to be sure I do it again the same choice as the bid on overdrive is great but in any case I am not disappointed with this purchase. 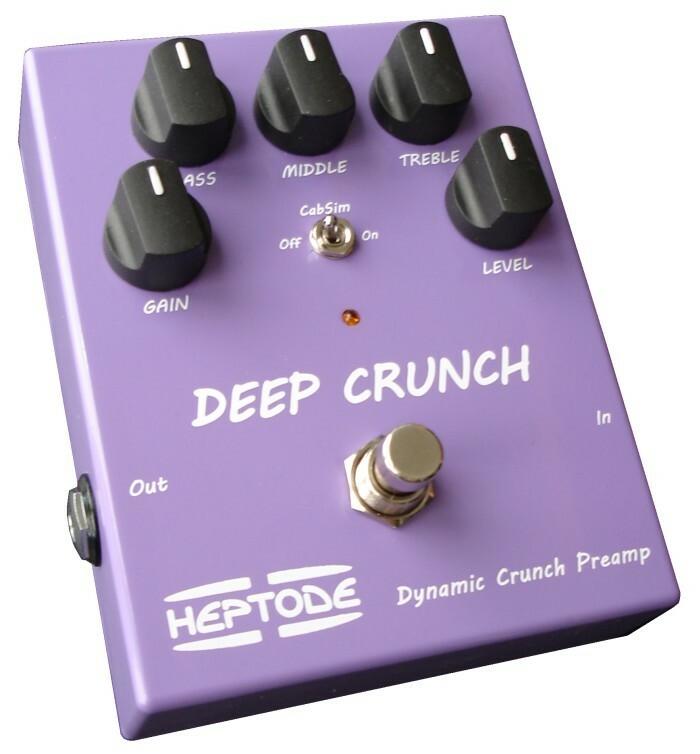 For the curious who want to hear how it sounds, see the website of Heptode, the pedal is available in VST. bcarmen's review (This content has been automatically translated from French)" New pedal French top level"
Distortion pedal / preamp crunch type, based on a Soldano preamp entirely analog. the look is basic and a bit austere but those who prefer flashing LED Christmas can buy a digital multi-effects Taiwanese! But be careful to have an amp that cash and do not push it too upstream, because the output level is ...! the dynamics of sound is unbelievable, I tested in conjunction with various pedals that I love, Boss Blues Driver, TC nova drive tube factory Hughes & Ketner, Ibanez Tube King (the last 2 are a lamp), the pedal heptode provides incredible headroom, the sound is "American", there is more at home than on Boogie and Soldano vintage of English, (as announced by the designer for that matter!) So you'll including prim first this pedal is designed to rock Powerful trend or at least that's modern blues of the sixties! However, by working the EQ you can get a wide range of colors, the sound is very accurate, unlike the usual crunch pedals, all notes of a chord out perfectly, solo understanding of the notes is great, a dream for the shredders! is also useful for very fat rhythm usually confused beyond powerchord! Personally I used the end of the chain distortion (behind a TS9 and Blues driver) to boost and expand the overall sound. 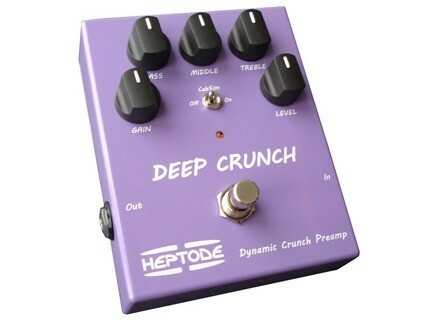 this pedal acts as an enhancer (enhancer): The bass are swollen and precise, mids and clear highs present, we have a little feeling of being on his guitar sound to mastering! This is a new French brand of high quality, made by enthusiasts and can hold a candle to the pedals boutique side of the Atlantic! Strong personality, for a price more than justified, it is aimed more for pros and amateurs who really want to sculpt their sound! If bluesman hardliners are not necessarily the target (quoique. ..) other rockers of all stripes can rub their hands ... and polishing the handle!